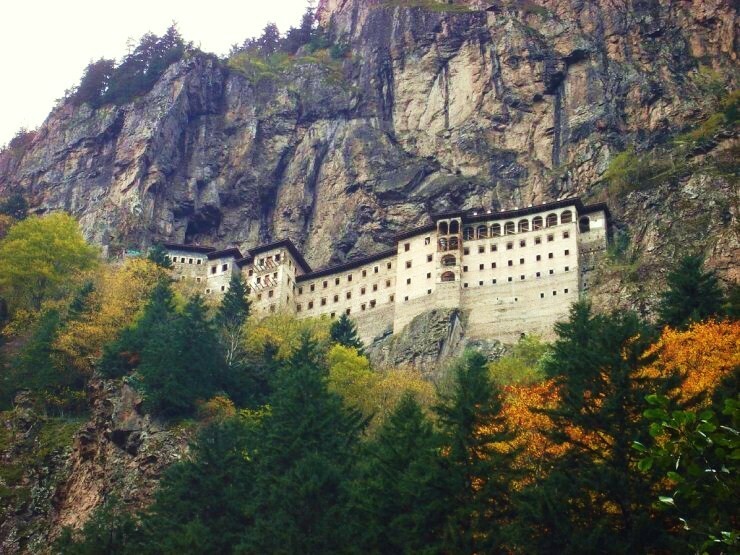 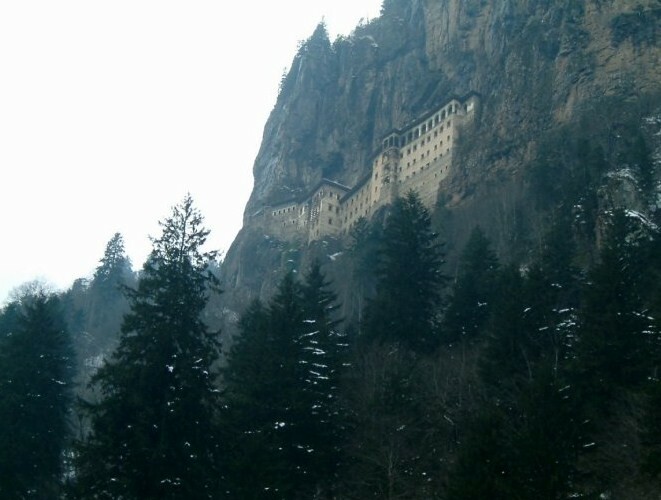 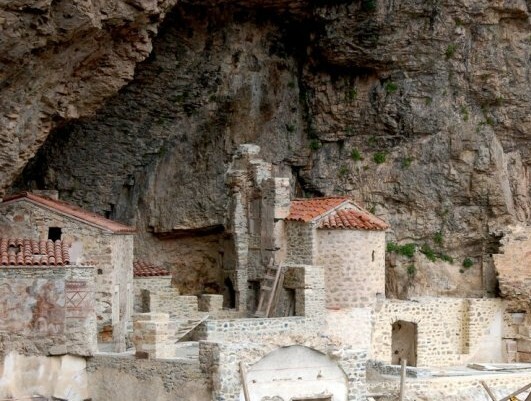 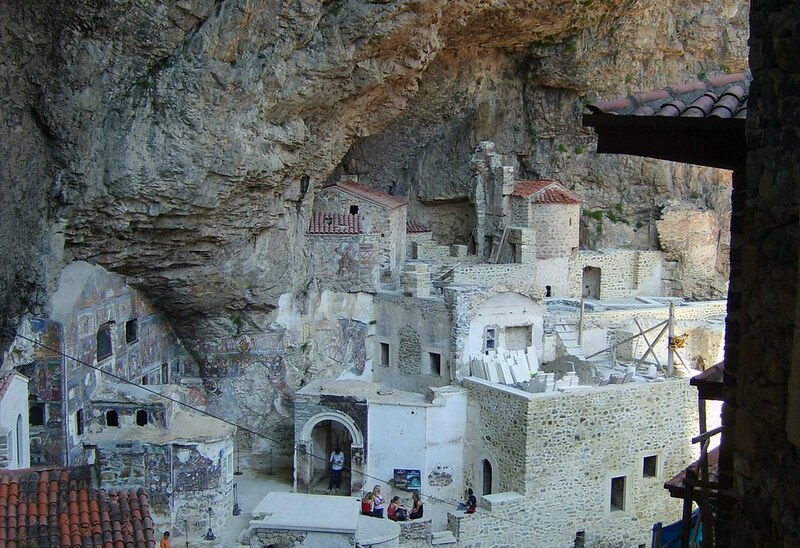 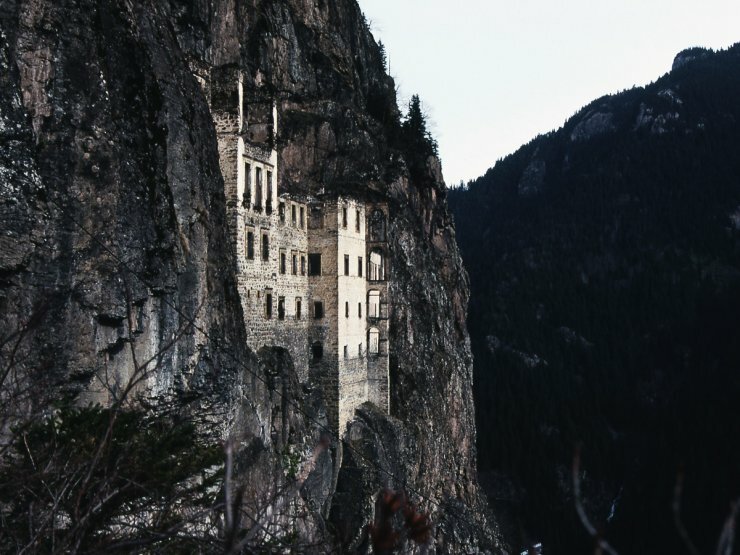 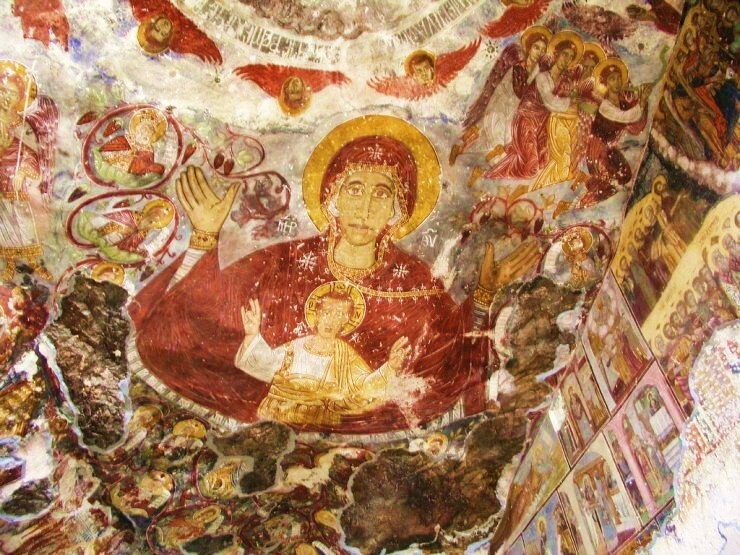 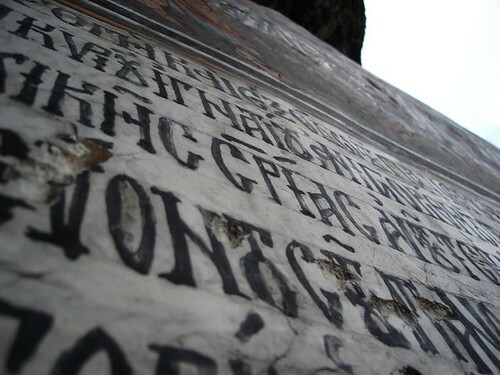 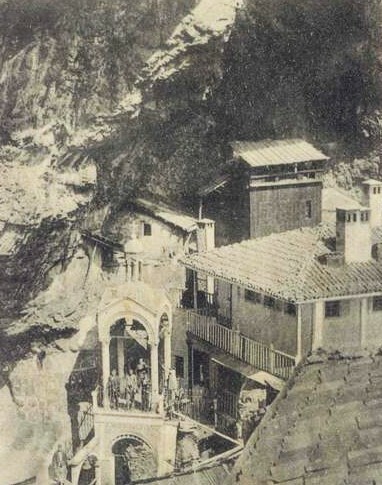 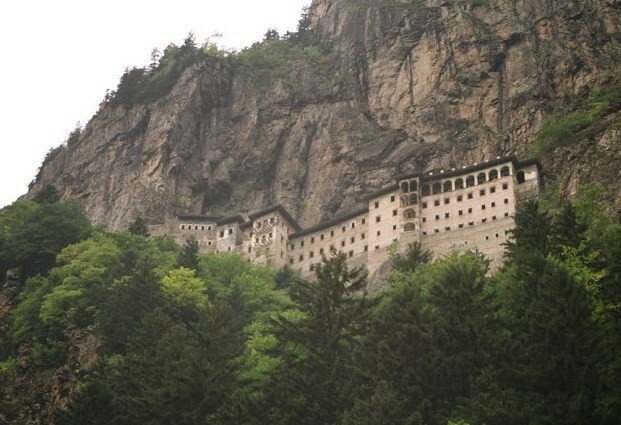 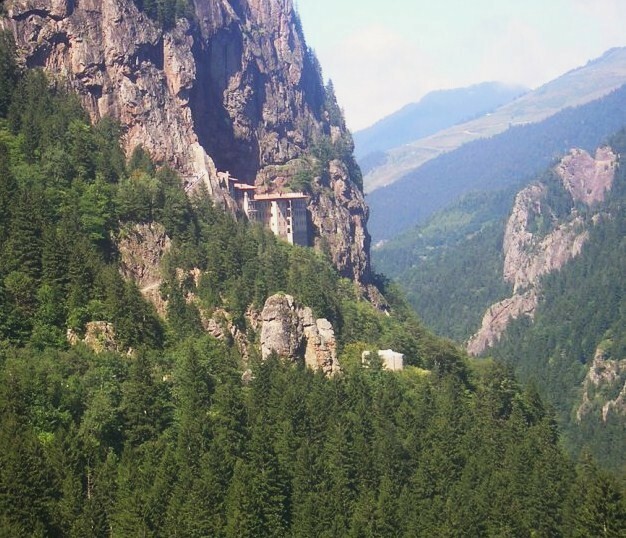 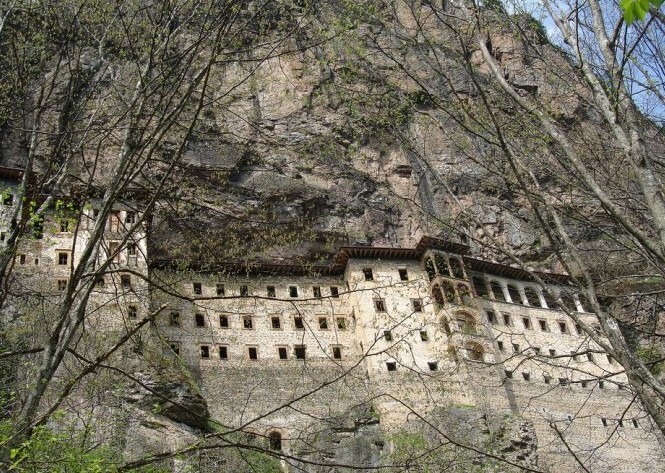 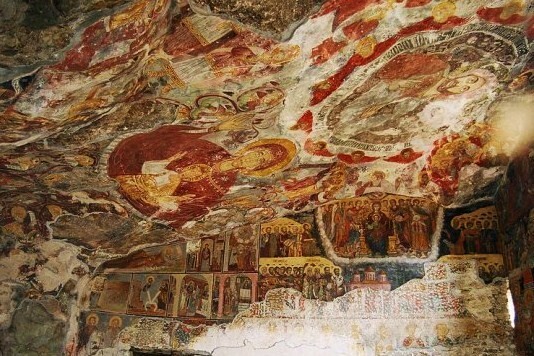 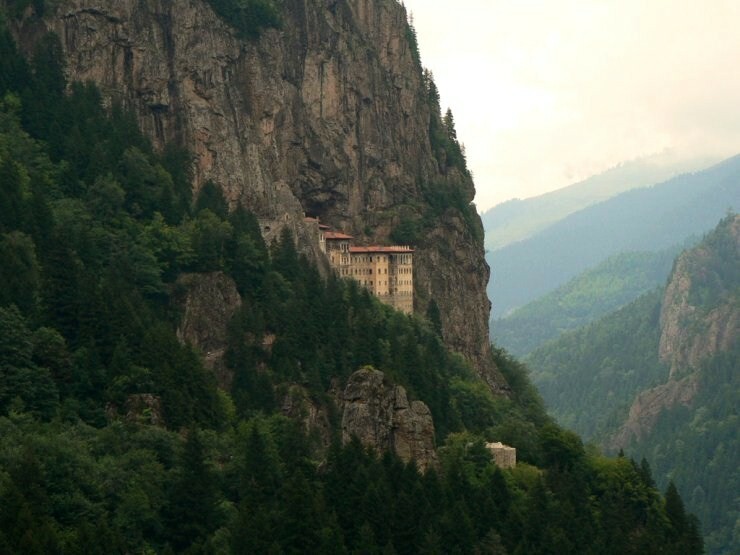 Sumela Monastery in Turkey was founded in the year 386 by two Athenian priests - Barnabas and Sophronius. 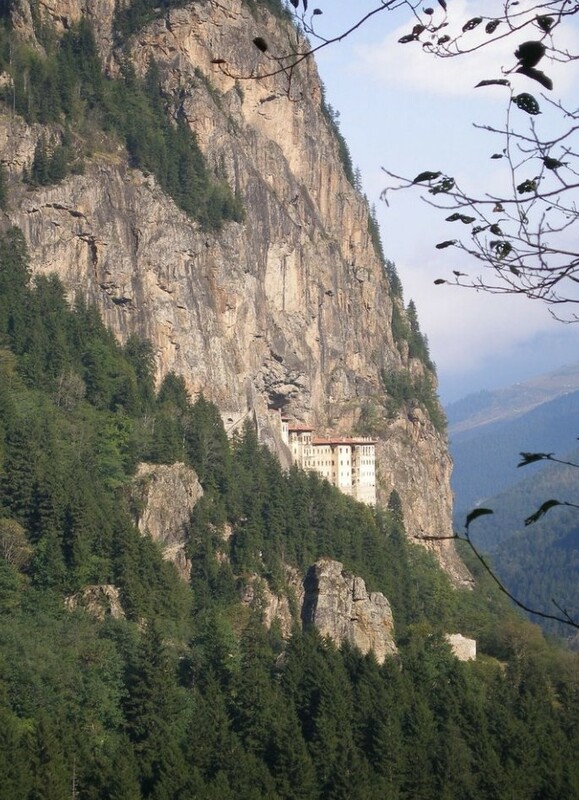 During its long history, the monastery has fallen into ruin several times and been restored by successive Emperors. 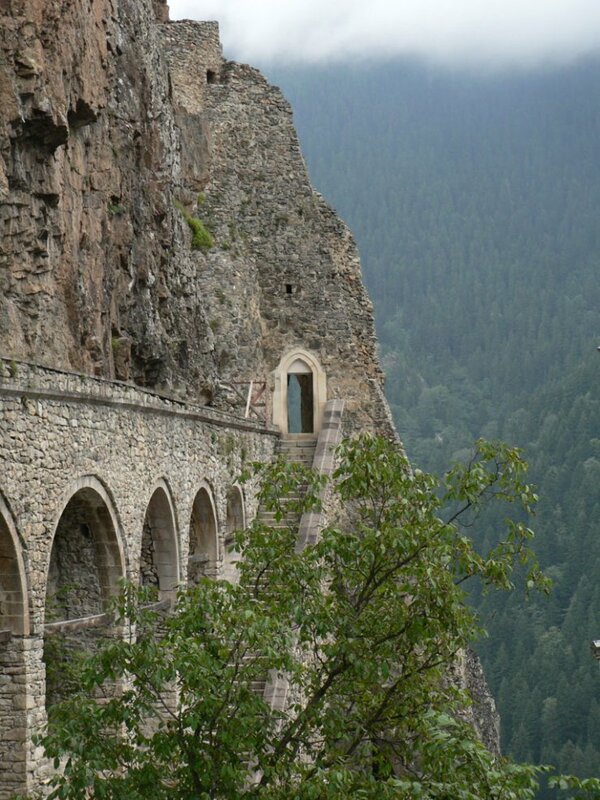 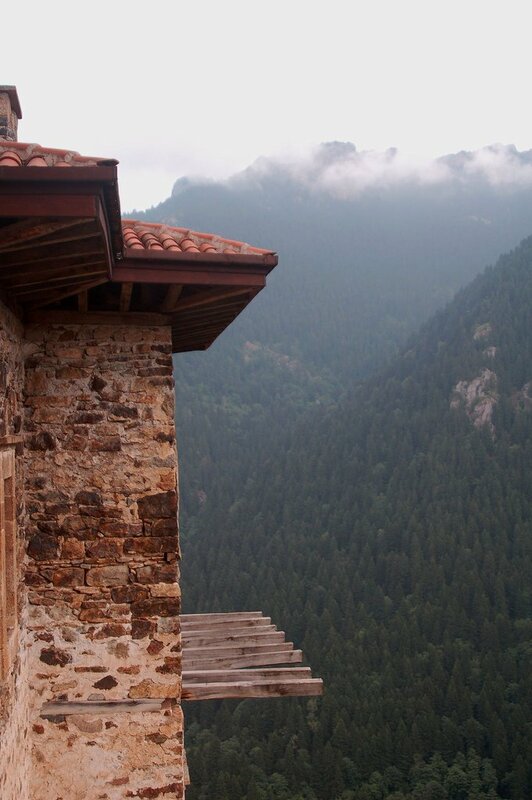 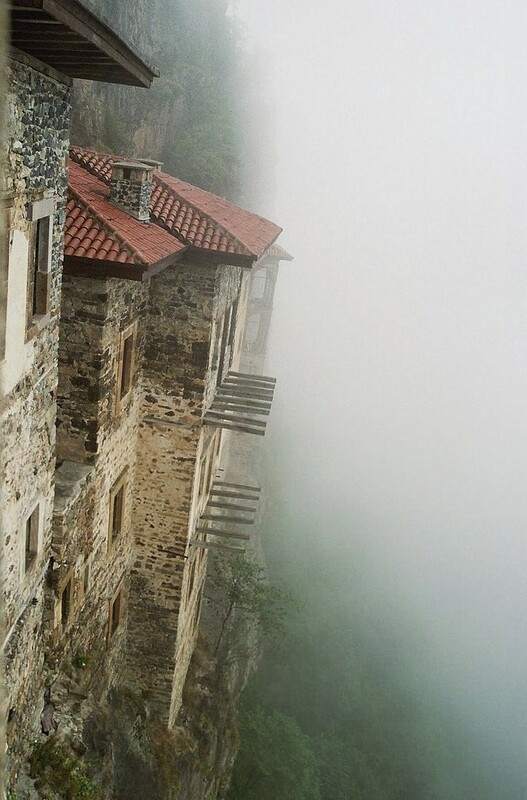 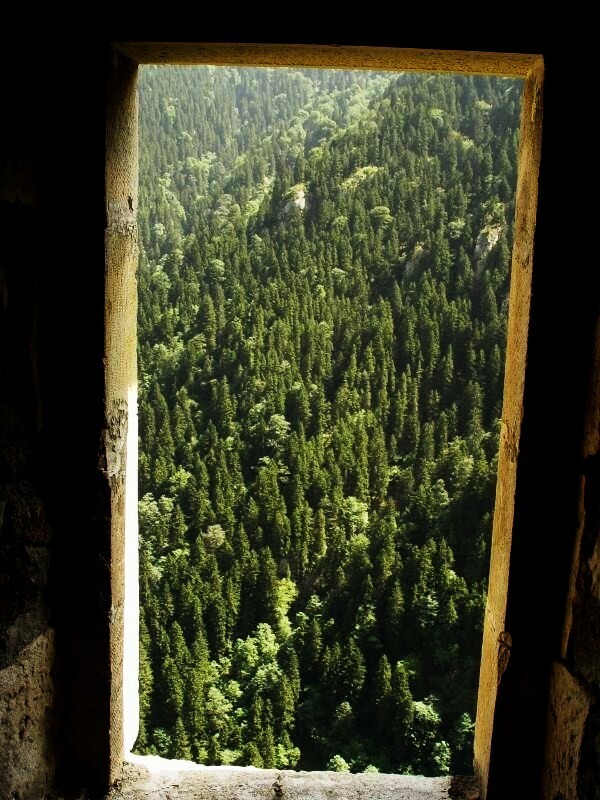 It clings to the wall of a steep cliff facing the Altındere valley in the region of Macka in Trabzon Province, Turkey. 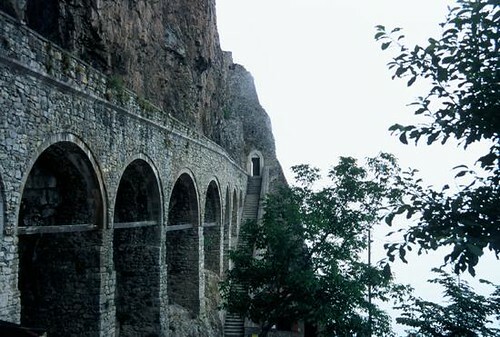 The government proceeds with restoration, but for now the ruins stay mostly untouched. 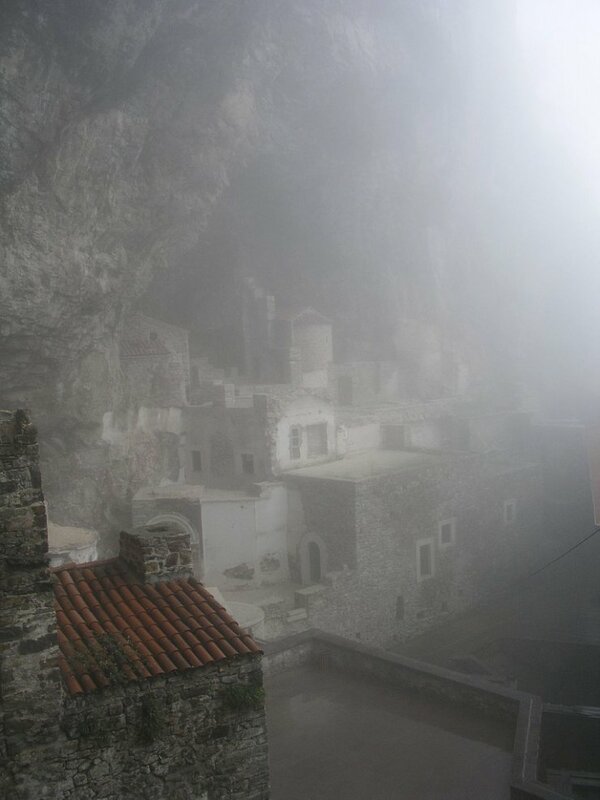 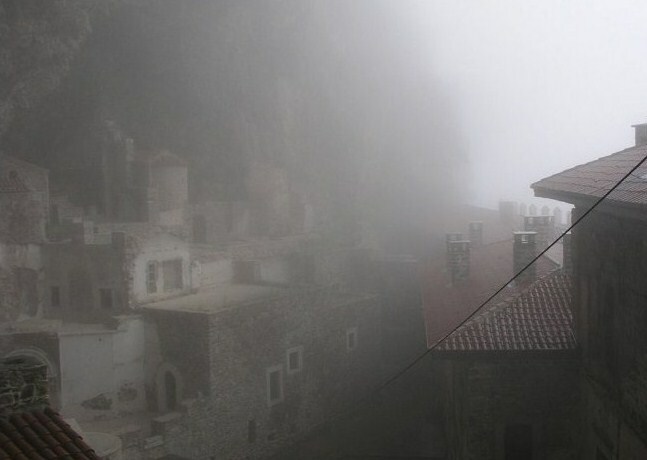 When the fog rises from the valley this place looks positively haunted.